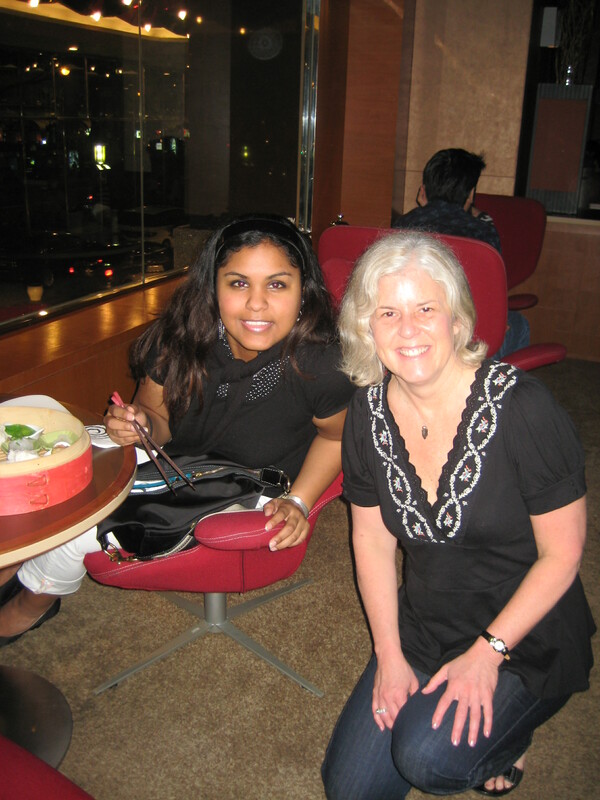 Saturday, January 5: In January of 2008, I went on a study-abroad trip to Southeast Asia. 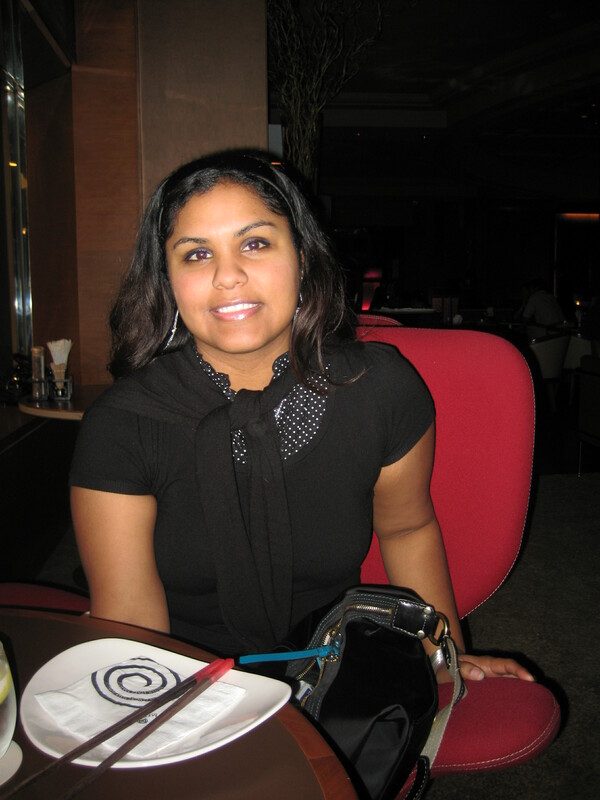 It was part of my Master’s degree program in International Commerce & Policy at George Mason University. Singapore was our first stop. After about 5 days in Singapore, we went to Phuket, Thailand for a weekend and then on to Bangkok. When I returned from our trip, we had to write a paper about our impressions of Singapore and another on impressions of Thailand. It’s a good thing I was assigned to write this paper, otherwise I wouldn’t remember anything as I didn’t keep a journal. 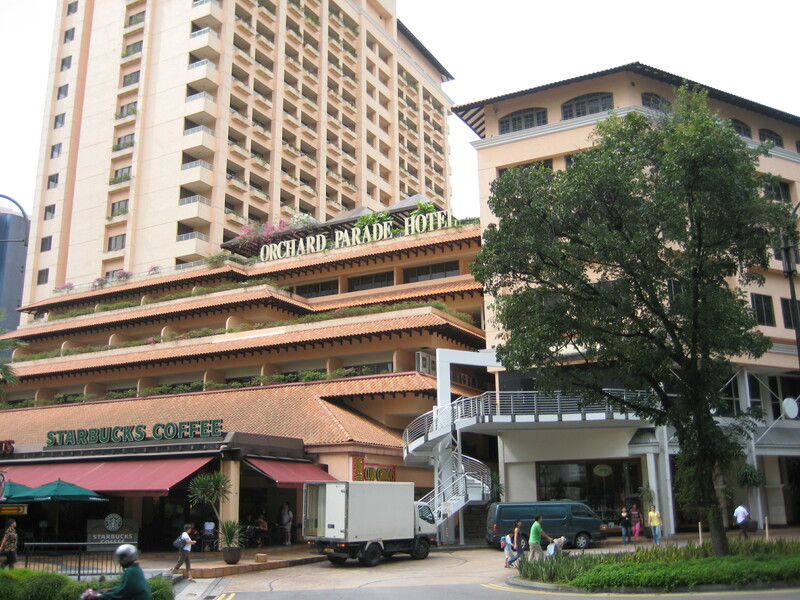 I arrived safely in Singapore and got to the Orchard Parade Hotel at 2 a.m. Saturday. 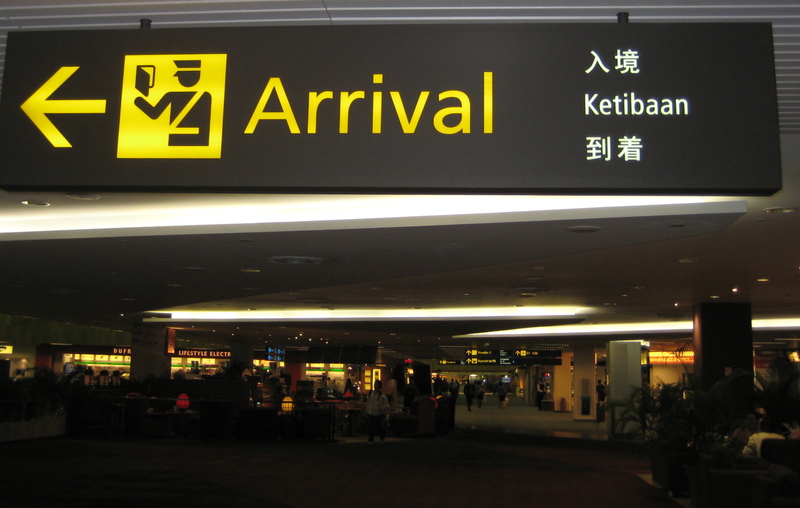 I waited in the airport for one of my classmates, Juliana, for a long time, but I wasn’t sure if she had already arrived and taxied to the hotel alone. Finally, I just caught a taxi myself. She arrived there around 3 a.m.! On Saturday morning, Juliana and I got up and had breakfast at a coffee shop then took the open air Hippo bus tour. 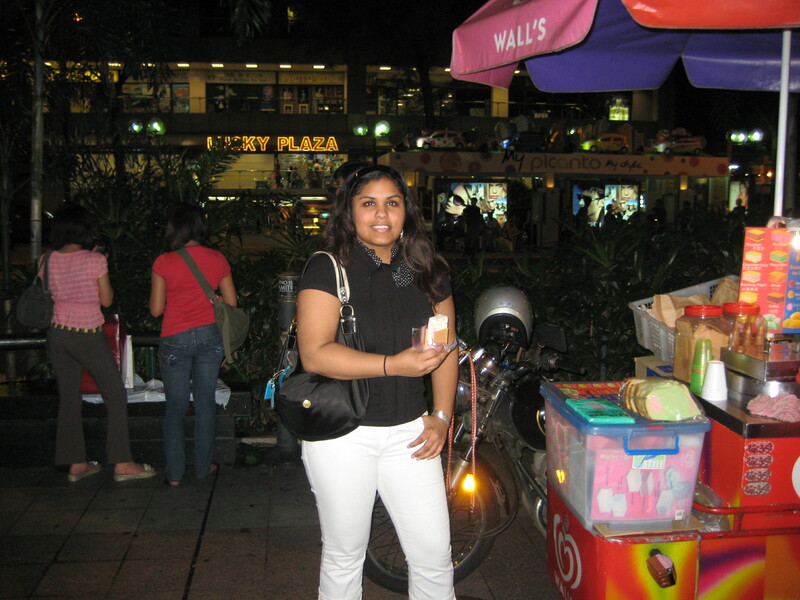 We saw Little India, Little China, Arab St. and various other things. After we finished, we said, well, I guess we’ve seen all of Singapore. Now what? It’s pristine, well-developed, and quite characterless. This is what I imagine Hong Kong must be like. I didn’t think I would be impressed, and I wasn’t. It’s like the high-class shopping district of any American city. A melting pot of different nationalities, yet everyone speaks English. There are way too many American businesses to suit me. I frankly don’t see the appeal. 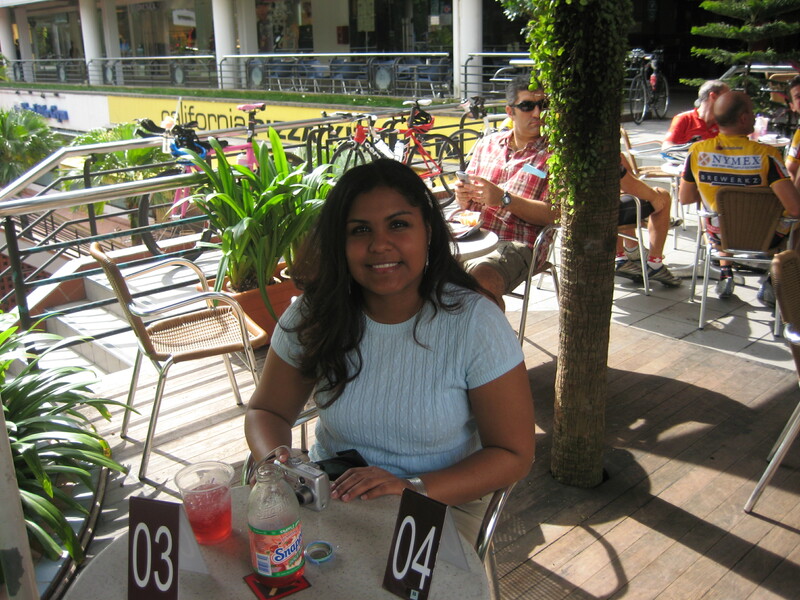 In the evening, Juliana and I walked down Orchard Road to find an indoor, air-conditioned, restaurant. We walked for blocks and only saw a few outdoor cafes, steamy and uninviting in the soggy heat. There appeared to be no relief from the damp warmth! We finally found a Meze bar, described on the window-front as “Asian tapas.” My experience of meze is usually Lebanese tapas. At this ultra-modern lounge, we paid 15 Singapore dollars ($12.13) for a Tiger beer. We shared a plate of delicious Dim Sum dumplings. We were sorely disappointed in the shortage of places to stop in for a drink or food. We saw hordes of young people walking the streets, but what were they doing? There seemed absolutely nothing to do but shop! And at this hour of the night, 10 p.m., the stores were closed. Juliana got some relief from the heat by ordering a square slice of ice cream slapped between two wafers, made directly from a vendor’s cart.